With its bright coloured laminate shell and stylish chrome legs, the Hapi provides a contemporary seating solution for dining and café areas. A one piece laminate shell allows for easy cleaning with a hand hold for ease of lifting and relocation. 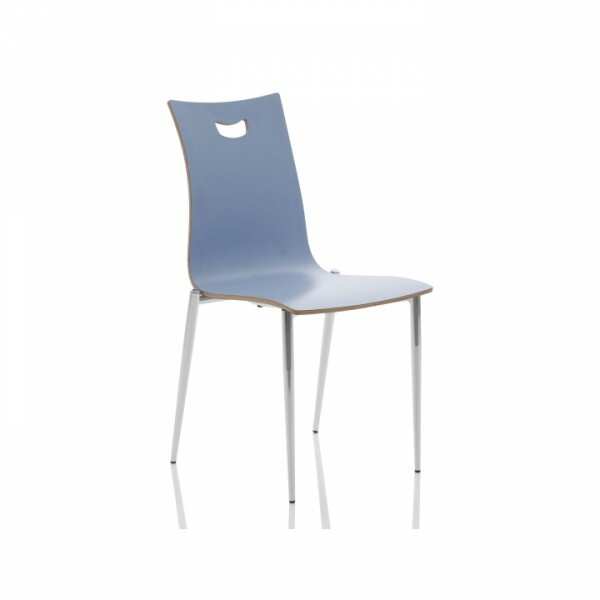 Please note the Hapi Upright Armless Chair is supplied in a Natural Beech finish as standard. To order a coloured laminate seat please specify HAPIK0011L along with the coloured laminate of your choice, there is a minimum order quantity of 20 in any single colour.